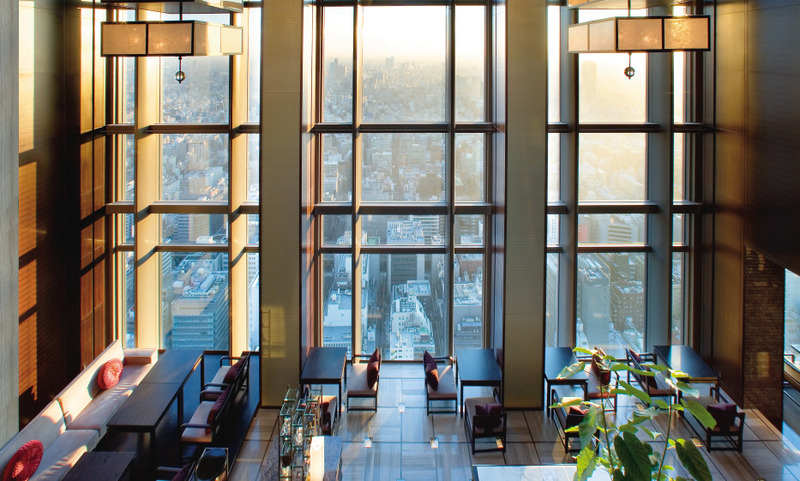 From its location in the uppermost floors of the Mitsui skyscraper, the Mandarin Oriental Tokyo offers some much needed respite - and amazing views - from Tokyo’s Nihonbashi district. Shoot up the elevator and step out on the 30th floor and you’re in another world… a better looking one designed by interior architect César Pelli and with floor to ceiling windows that give onto Tokyo’s city scape and the snowy peak of Mount Fuji on clear days. If you don’t feel spoilt enough by the views, the hotel’s many restaurants ( of which three are Michelin starred) and the exceptional service are more than enough reasons to stay. Among the most breathtaking views worldwide ! In our two weeks staying in many five star hotels across Japan, none matched the Mandarin Oriental for service in fact it is probably the best most efficient service I have experienced anywhere dining at Molecular Tapas was also a true highlight , thanks to the whole team at MO that made my birthday celebrations truly memorable. Perfection personified thank you so much. The service at Mandarin Oriental Tokyo was among my top 3 hotel experiences ever. Ana Gervasio at the Concierge was fantastic!!!!! It's my favorite hotel! Everything is perfect and the staff kindness and efficiency well above average! Of course this is Japan! But not only!